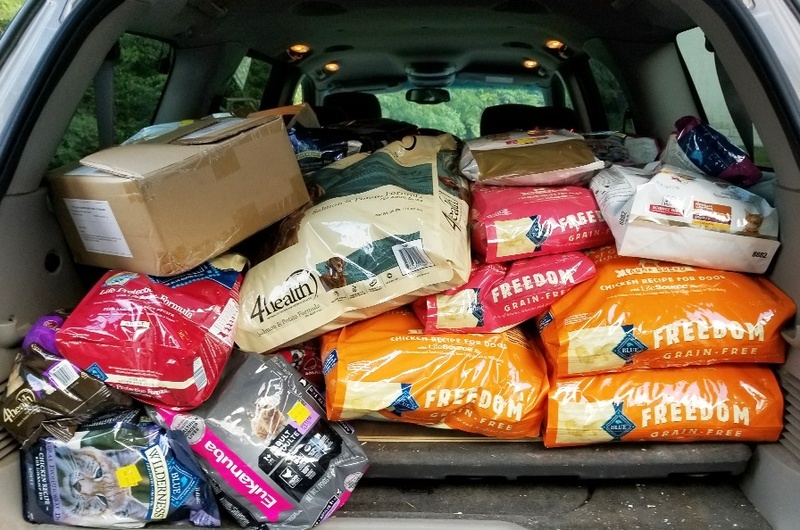 Jefferson County Pet Food Pantry : Thank You Tractor Supply, High Ridge, MO! Thank You Tractor Supply, High Ridge, MO! Last night after we got all of the pet food bagged, I realized we were still almost 1,000 lbs short of dry dog/cat food. This morning I called Tractor Supply Co. (High Ridge) (my go-to pet food place) and put in an order to be picked up after I got off work. When I arrived I asked if my order was ready and was told it was not. “Al” (who usually gets the pleasure of loading my car) said “follow me”. 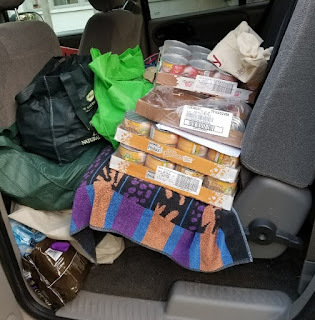 He took me into the back and pointed to a skid of dry dog/cat food and a grocery cart of canned cat food. He said “this is for you; I think this will cover what you need, pull your truck around and let’s see.” With tears in my eyes I pulled my SUV into the back, Al and I loaded food in every nook and cranny. Words cannot express how much I appreciate Tractor Supply Co. and all of the support/donations they have given us. The staff is amazing and they are so community oriented. Please support this business that does a lot for our community.